240 pages | 7 B/W Illus. 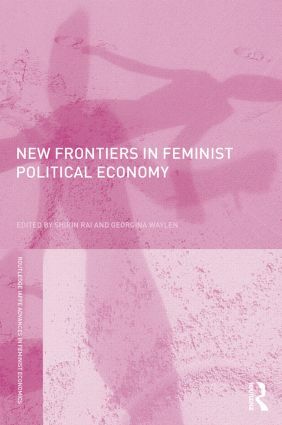 This volume brings together the work of outstanding feminist scholars who reflect on the achievements of feminist political economy and the challenges it faces in the 21st century. The volume develops further some key areas of research in feminist political economy – understanding economies as gendered structures and economic crises as crises in social reproduction, as well as in finance and production; assessing economic policies through the lens of women’s rights; analysing global transformations in women’s work; making visible the unpaid economy in which care is provided for family and communities, and critiquing the ways in which policy makers are addressing ( or failing to address) this unpaid economy. The International Association for Feminist Economics (IAFFE) aims to increase the visibility and range of economic research on gender; facilitate communication among scholars, policymakers, and activists concerned with women's wellbeing and empowerment; promote discussions among policy makers about interventions which serve women's needs; educate economists, policymakers, and the general public about feminist perspectives on economic issues; foster feminist evaluations of economics as a discipline; expose the gender blindness characteristic of much social science and the ways in which this impoverishes all research - even research that does not explicitly concern women’s issues; help expand opportunities for women, especially women from underrepresented groups, within economics; and, encourage the inclusion of feminist perspectives in the teaching of economics. The IAFFE book series pursues the aims of the organization by providing a forum in which scholars have space to develop their ideas at length and in detail. The series exemplifies the value of feminist research and the high standard of IAFFE-sponsored scholarship.